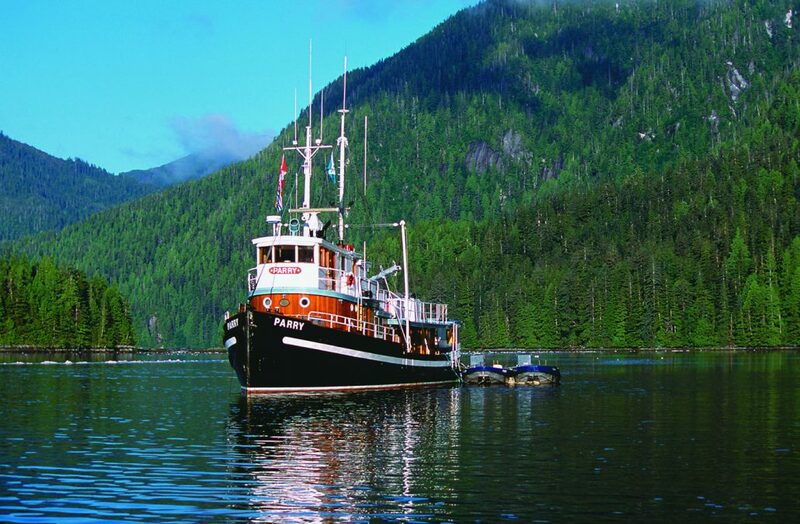 Join us on an intimate adventure aboard a classic 1941 tugboat, cruising through the world’s largest intact temperate rainforest along the beautiful Inside Passage of British Columbia and Alaska. 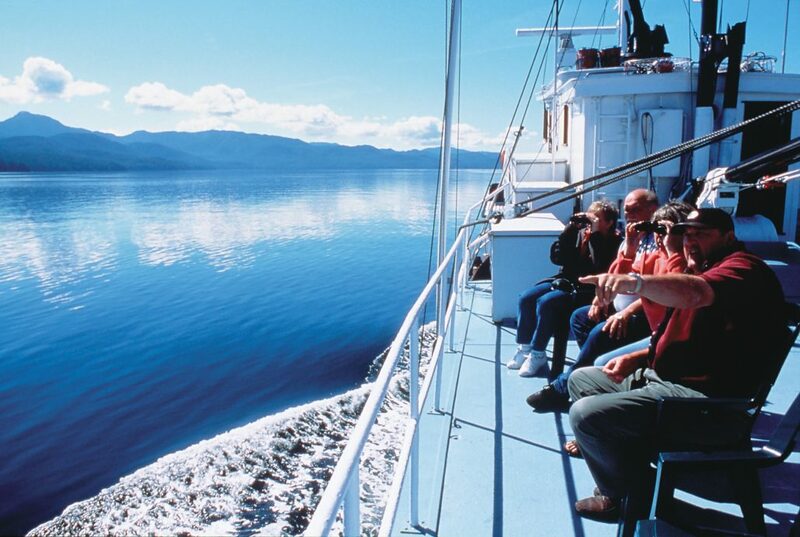 The best way to truly experience the natural wonders of British Columbia is on a small ship cruise along the beautiful Inside Passage. 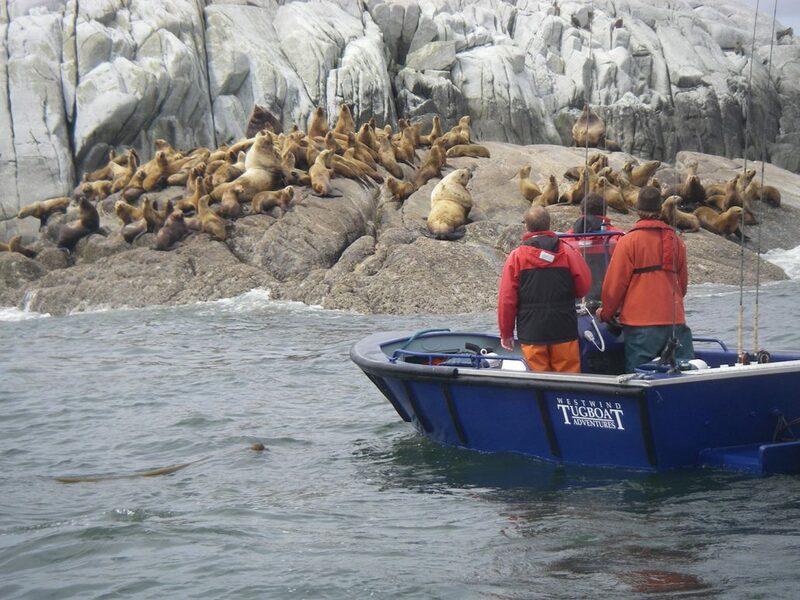 You will experience stunning wildlife, foraging whales, rich First Nations culture, and abundant history. 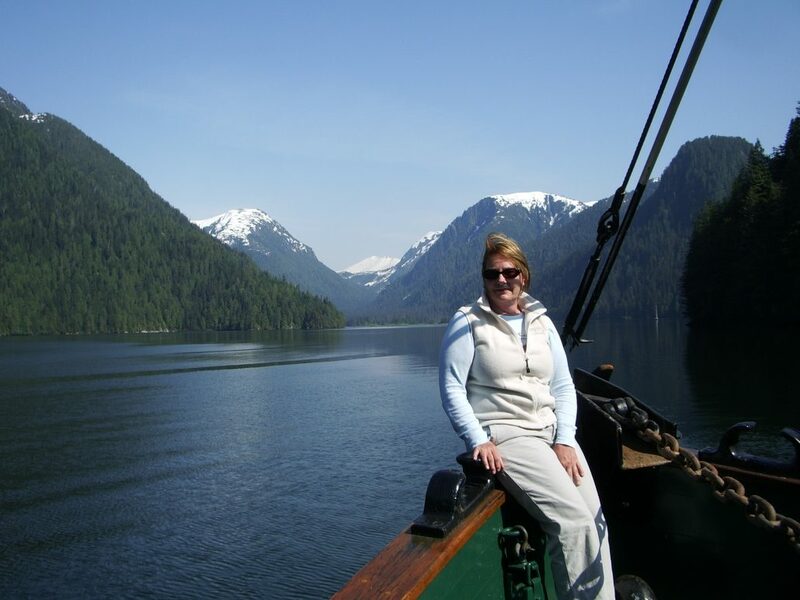 Our tugboat boutique expedition cruise gets you up close and personal with towering mountains, cascading waterfalls, picturesque anchorages and nature filled estuaries as we navigate the weaving channels and fjords of BC’s central coast. 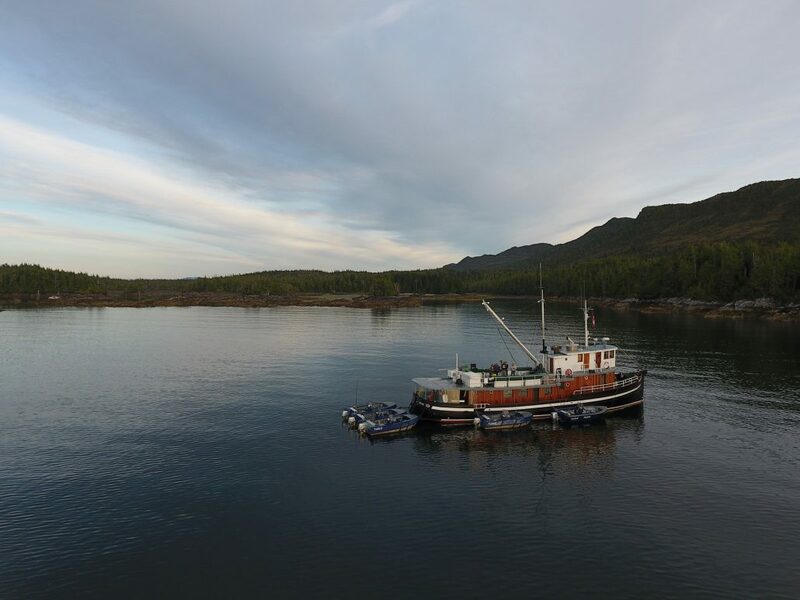 The isolated coastal communities offer a chance for you to learn, first-hand, the history and culture of the coastal First Nations from village elders and felt historians. It is truly a breathtaking experience. 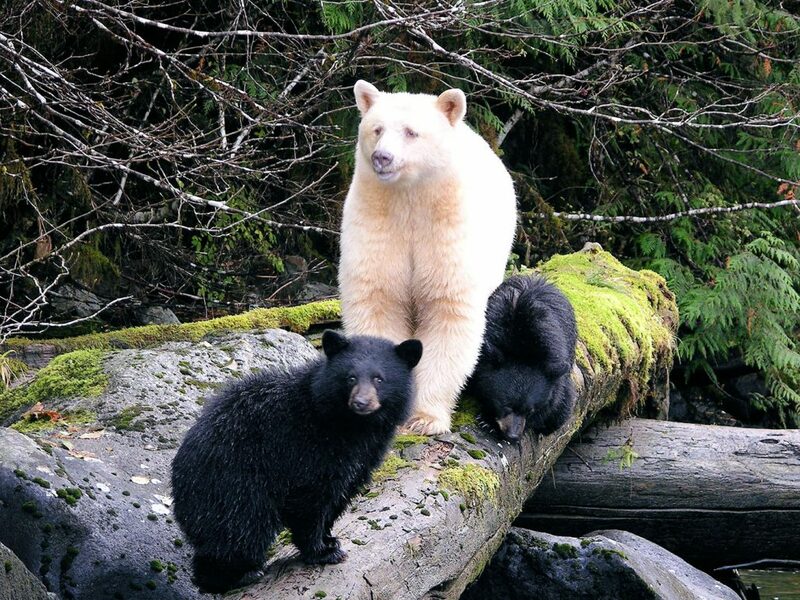 Mother Nature’s Great Bear Rainforest is a must-see for nature lovers. Isolated between the monumental Coast Mountains and the vast Pacific Ocean, this preserved magical area has created a haven for Grizzly Bears, Black Bears, wolf packs, and the remarkable Spirit (Kermode) Bear; unique to this special part of the world. Humpback Whales and Orcas navigate the fjords while Mink, Otters and Sea Lions occupy the shoreline. 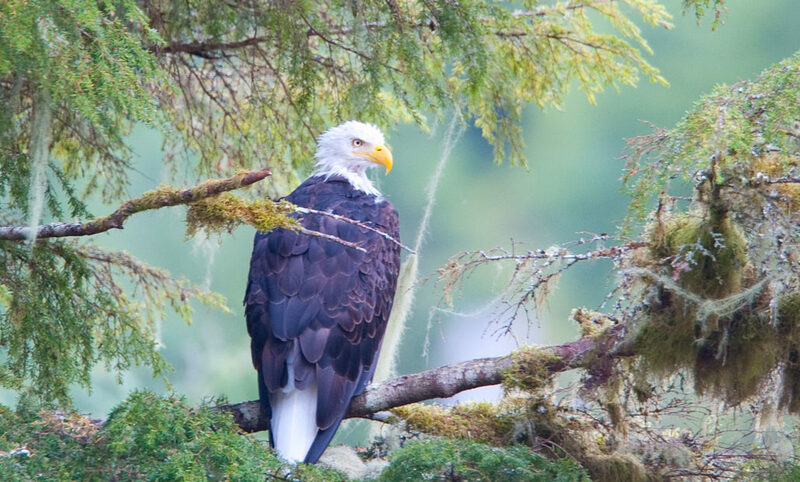 Experience a wilderness hike into the rainforest, stand in awe of the towering Spruce, Cedar and Hemlock, and watch as bald eagles keep a keen eye from their perch and effortlessly shear through the wind. There are numerous streams and estuaries where Salmon arrive in great numbers in September & October, and wildlife gather to feast. British Columbia’s Great Bear Rainforest will leave you in wonderment. Explore the great wilderness where BC and Alaska meet. 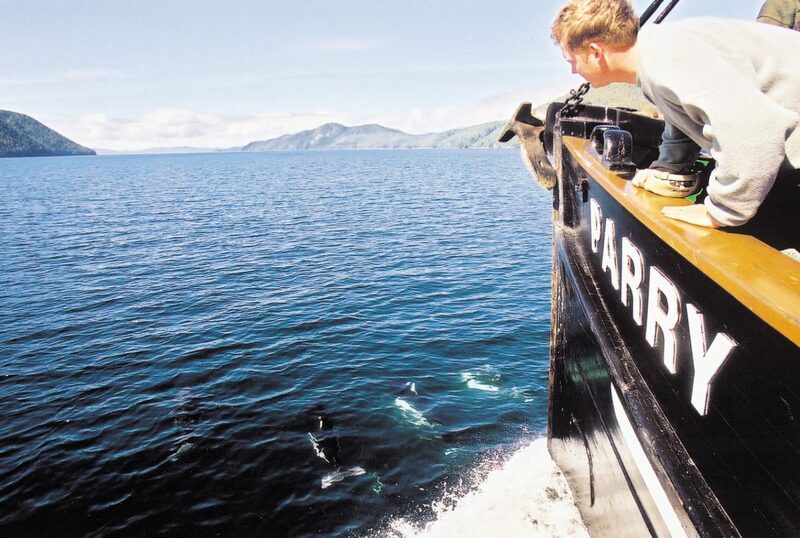 The deep fjords, isolated channels, and rugged coastline of the North Coast are home to North America’s only Grizzly sanctuary and is the feeding grounds for the revered Orca Whale. Spring is when the North Coast comes to life, spring wildflowers bloom in the meadows, brilliant green sedges fill the estuaries and the first runs of wild Chinook salmon arrive home. 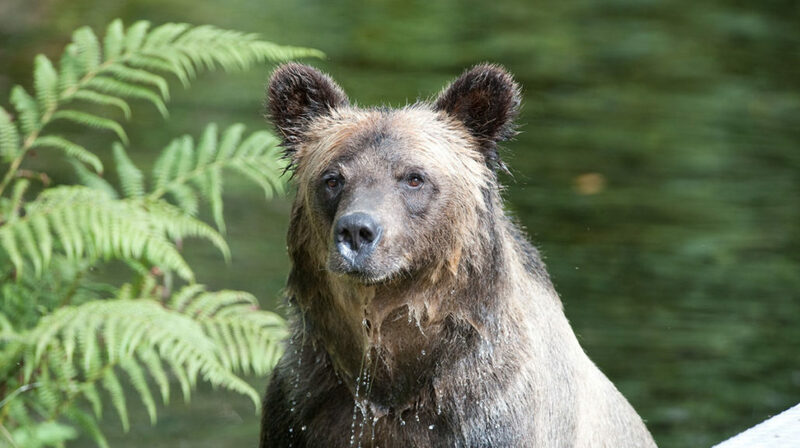 Grizzly bears can be found feeding in the estuaries with cubs in tow. 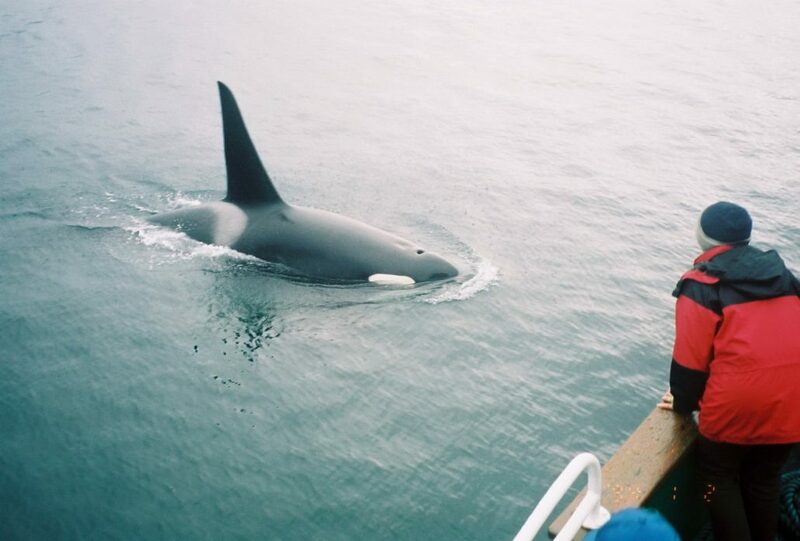 Pods of Orcas (Killer Whales) roam the fjords and channels hunting for their main diet; the trophy Chinook (King) salmon of the famous Nass and Skeena river systems. The scenery is spectacular with towering snow-capped mountains, picturesque waterfalls, and deep west coast sunsets, and the area is rich in First Nations history. 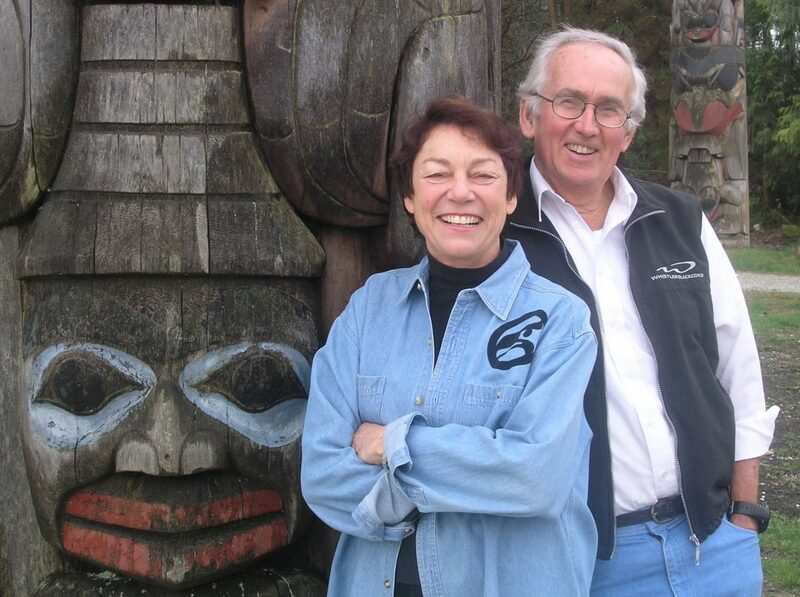 Join us on a shore excursion into the forest and learn its importance to the Tsimshian and Haida aboriginal peoples. Journey into one of earth’s great wild places. 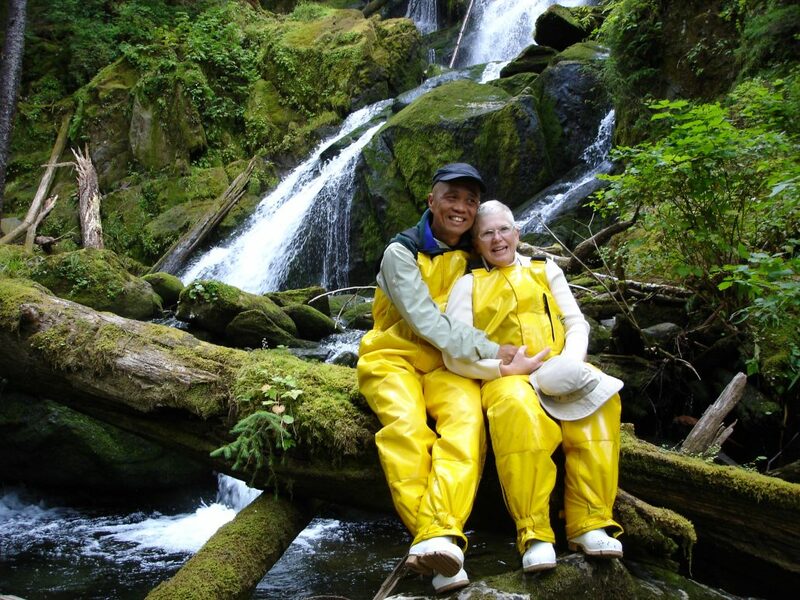 Granite fjords with Cascading waterfalls, Mountain Goats, salmon feeding wolf packs, Grizzly Bears, Humpback Whales, and First Nations artistry and architecture. The Great Bear Rainforest is a humbling place; evergreen forests that seem to grow right out of the ocean, line the never ending channels and fjords. Humpback whales feed on the abundance of needlefish, herring, and pilchards while the estuaries of 100’s of small streams are alive with bears, wolves, and eagles feeding on the early salmon runs. Join your naturalist on a deep forest hike into a wilderness lake, and explore secluded beaches alive with clam beds and intertidal life. The area is rich in First Nations history. This is the world of the Heiltsuk, Kitasoo-Xaixais, Haisla, Gitga’at and Henaaksiala nations. Everywhere there is evidence of their civilization. Fish traps, petroglyphs, bark-stripped trees and big-house remains give testimony to a life tuned to the rhythm of nature. The surreal Spirit Bear is a remarkable sight as it’s cream-colored coat contrasts with the evergreen and everything natural that’s in the background. The mystical Spirit Bear of the Great Bear Rainforest is best seen in the fall when returning salmon runs fill the small streams. Grizzly and Black Bears also join in the feast. Watch the salmon spawn and feel the power of the forest. Ornithologists keep an eye overhead for migratory birds. As the days get shorter the night stars are mesmerizing. Visit the guardians of this land at Klemtu an isolated First Nations community, talk to the locals, visit the longhouse and learn and feel the artistry of their history and beliefs. 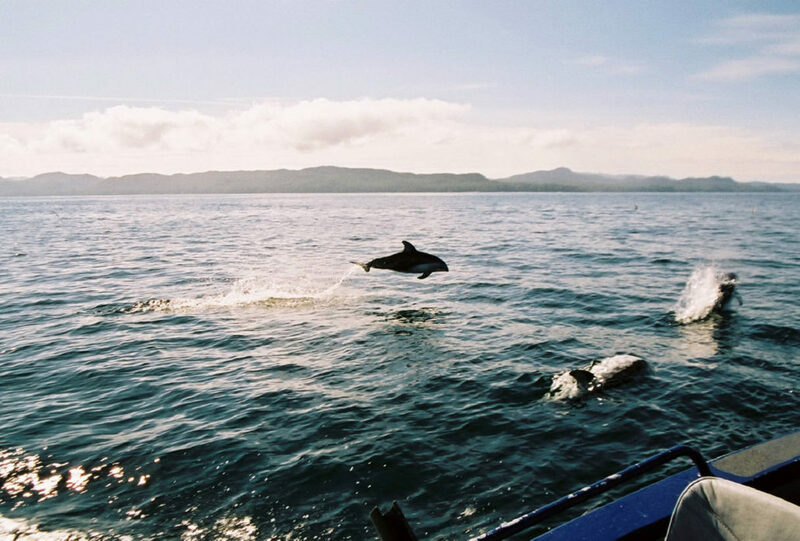 Marine mammals fill the waterways, Humpback Whales, Fin Whales, Sea Lions, Elephant Seals, Porpoises, and Orcas can be seen. 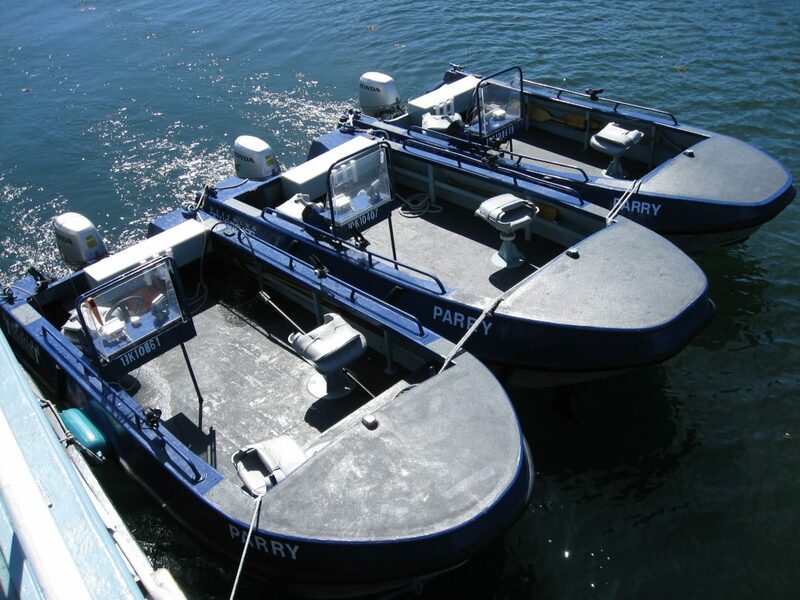 Book an Eco Tour Now! 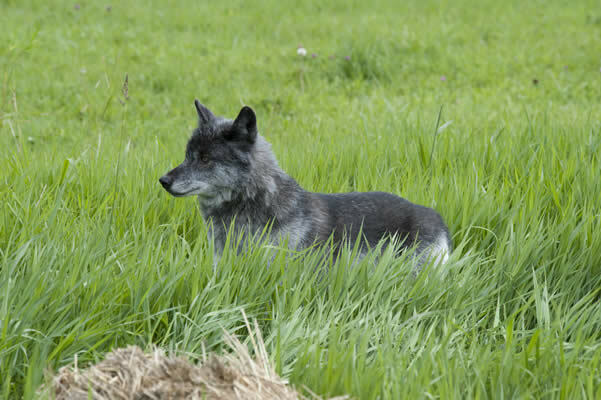 Grizzly Bears, Spirit Bears, Eagles, Whales, Wolves – you’ll see them all! 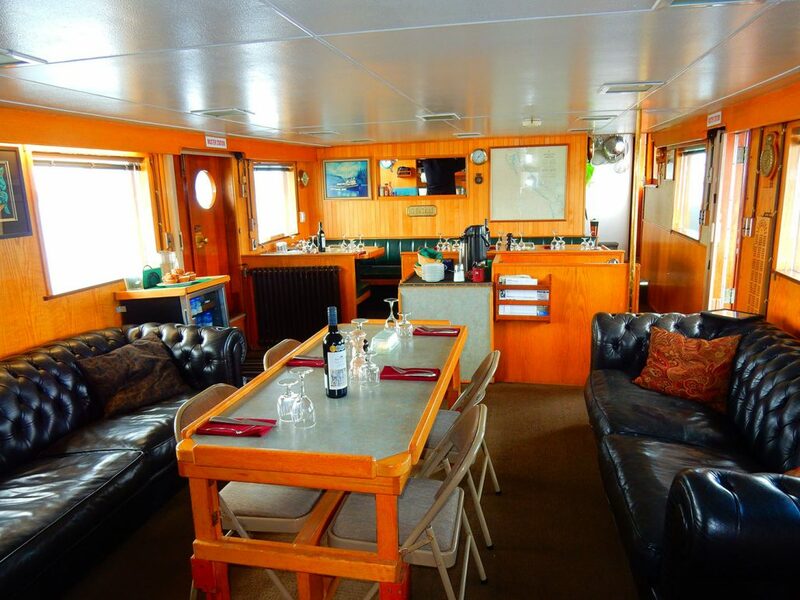 Welcome aboard our 1941 heritage wooden Tugboat, the MV Parry, where the skipper and crew are eager to pamper you in between stunning wildlife sightings! 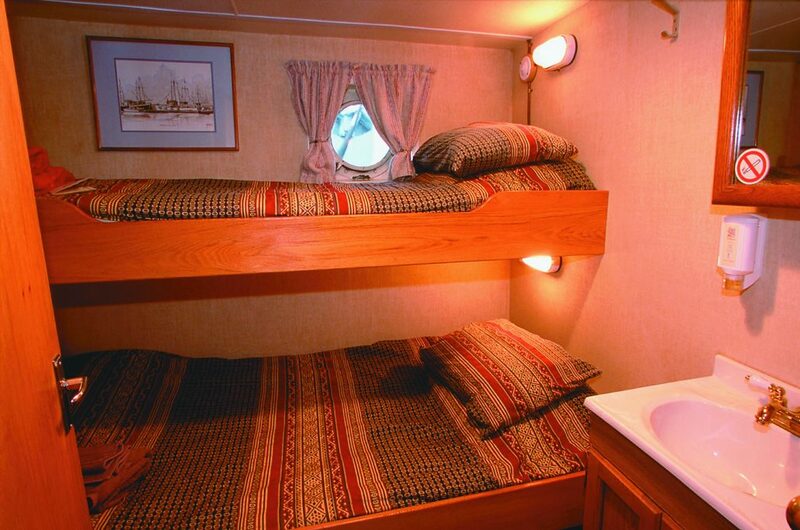 Our 1941 heritage wooden Tugboat, the MV Parry, is lovingly maintained and beautifully appointed with comfortable two-berth cabins, fireside lounge, and spotless bathrooms and showers, plus a busy galley serving unbelievable food and desserts. Creature comforts are provided with bathrobes, extra pillows, hairdryers, and a complimentary selection of wines from around the world. 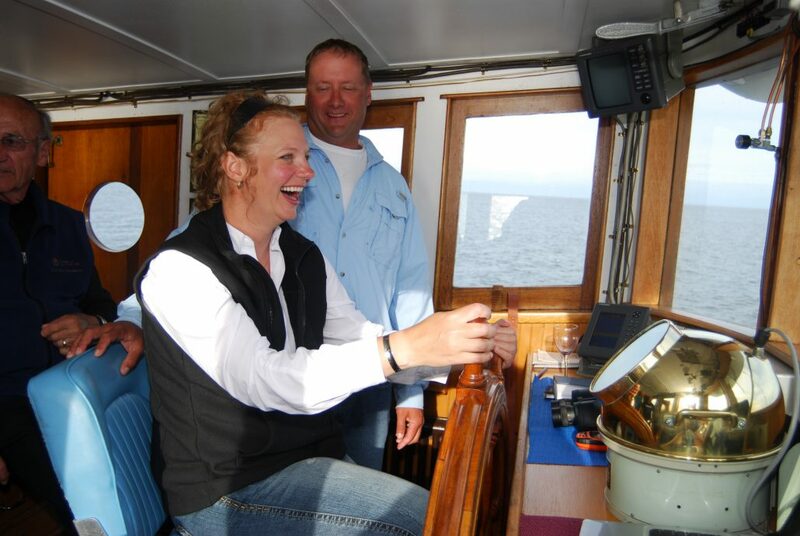 The skipper, chef, hostess, naturalist and guides are eager to pamper you and the shipboard atmosphere is totally relaxing. Guests are encouraged to visit the pilot house and take a turn at the wheel or a tour of the spotless engine room and watch the smooth operation of this antique engine. The tantalizing dining will add a highlight to every day. 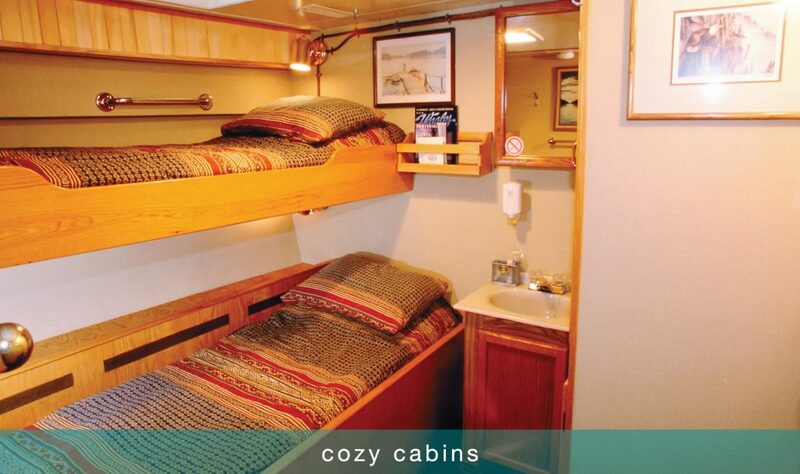 Book an Eco Adventure Now! 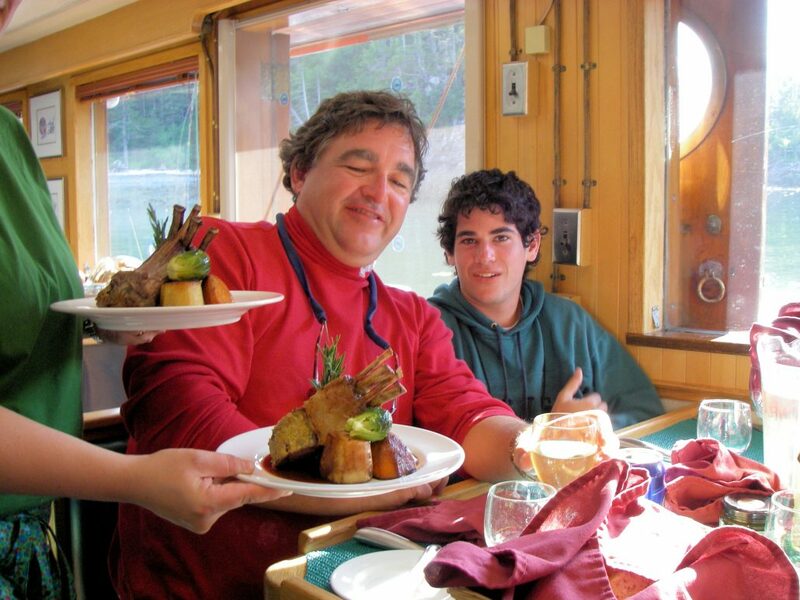 Ready to book your Eco Tour, have a question, or wondering about availability? Send us an inquiry below. Which Eco Tour are you interested in?